Wood finishing is fun and easy. 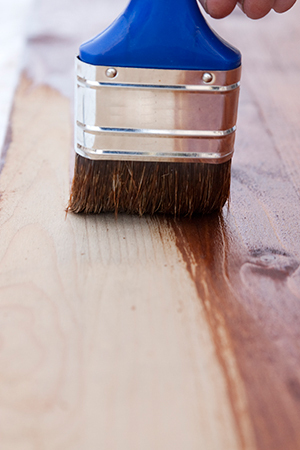 We’ll take you through the wood finishing process including preparing the wood, choosing the proper applicator, and applying traditional and one-step finishes. The content on this page has been provided by Minwax®, the #1 brand of interior wood stains and clear protective finishes in the U.S. For more how-to tips and wood project ideas, visit minwax.com or join us at facebook.com/minwax.